Pastor Martin Hawley was married to his high-school sweetheart Kimberly on November 6, 1993. Pastor and Kimberly have three boys: Jason (25), Craig (22), and Stephen (21), and Ashley (Jason's wife), and the newest addition to the family is our granddaughter Aurora. Pastor was born and grew up in Fort Myers, Florida. Pastor knew at a very early age that God wanted him to be a pastor. He attended NBC Bible College and became an associate pastor at his home church in Fort Myers in 1998. In 2001, he started Praise Tabernacle Community Church in Bonita Springs, Florida. Along with this church was the birth of Bonita Christian Counseling Center. He mentored, groomed, and developed a young pastor who successfully transitioned to Senior Pastor of that congregation. Starting in 2008, he became the associate pastor of First Baptist Church of Bonita Springs, where he was ordained in the Southern Baptist Convention. In 2010, God called Pastor Hawley to Truth Tabernacle of Praise in Stone Mountain, Georgia. During his first year of ministry, 52 people were baptized and 42 new members were added to the church. Prayer Meeting and Sunday morning attendance more than doubled. Truth Tabernacle also sponsored the Gate of Salvation Haitian Church and worked to strengthen the existing Napali Church that both met in their facility. 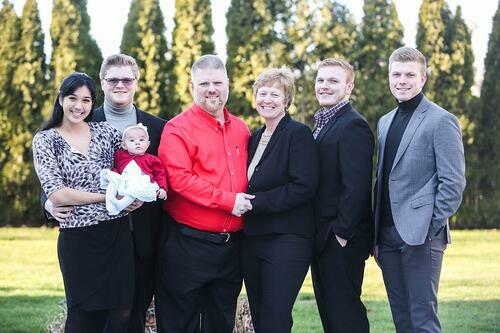 In late 2012, God made Pastor Hawley and his family New Yorkers by calling them to South Bay Bible Church. Again, during Pastor's first year at our church, the congregation has more than doubled. SBBC has increased in faith under Pastor's teaching, and there is a high level of excitement, enthusiasm, and forward momentum in the church body. The church is highly engaged in our community as Pastor is active in community groups like the Rotary, Chamber, and B2B Groups. He is the president and chaplain of the Rotary Club of Seatuck Cove, and the District Chaplain of Rotary District 7255. Pastor Hawley's favorite Bible verse is Psalm 32:8, "I will instruct you and teach you in the way you should go; I will counsel you and watch over you." He has trusted and relied on this verse many times during the high and challenging points of life. In addition to full-time vocational ministry, Pastor enjoys flying as a recreational pilot, scuba diving, running, and reading. During 2019, Pastor will be leading the church to expand our monthly Servant Evangelism projects. This year, we will also begin the public phase of our building plan on our property across the street from our current facility. In addition, we will continue our major push to connect every member and attender into a Community Groups by taking a step out of the row and into a circle where "real growth takes place."